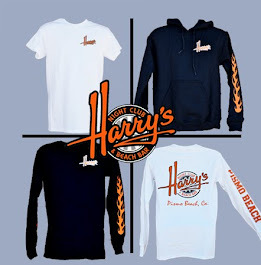 Harry's Night Club & Beach Bar: What do you know about Jack Daniel's? What do you know about Jack Daniel's? We are having a Jack Daniel's Tennessee Honey SWARM party July 30th at 8pm, and YOU are invited! We will be serving Jack's Honey Lemonade and Jack's Tennessee Honey Tea; we'll have Jack Daniel's SWAG giveaways, Harry's t-shirt giveaways, and you will have a chance to meet one of the Jack Daniel's Honey Girls! So plan to join us tomorrow from 8-9pm and "Take the Summer by Swarm!" After the Swarm party, stick around for the after party with a special performance by Joe Con, The Real Thing! So, what do you know about Jack Daniel's? Here's a few fun facts! Jack Daniel’s whiskey is not just one of the many whiskeys you find on the liquor store shelves. It is a well-known American icon and the leading whiskey in the world with probably the most recognizable bottle in the entire alcohol industry. At almost 150 years old, Jack Daniel’s whiskey has an interesting history with a ton of fun facts you may not know. Not everyone knows that Jack Daniel’s whiskey is made in a dry county. The distillery is located in Moore County, in the city of Lynchburg, Tennessee. A dry county is one that allows no alcohol sales at all. The government of that county forbids alcoholic beverages from being sold in restaurants and stores in its jurisdiction. Locals who live in Moore County cannot purchase Jack Daniel’s close to home! In the early 1900s, the entire state of Tennessee was dry, and it remained that way for almost 30 years. The Jack Daniel’s Distillery was mothballed. The proprietor of the Jack Daniel’s Distillery at the time, Lem Motlow, was in government and helped pass a bill to make it legal to make spirits in the state, even if they could not be enjoyed there. Once this law passed, the distillery was opened again and it flourished. If you are a true lover of Jack Daniel’s Single Barrel Select whiskey, you can choose to take advantage of their “Buy the Barrel” program. Essentially, for the very low price of only about $10,000, you get an entire barrel of the whiskey, specially bottled for you. You also get the actual barrel in which it was matured. While the price tag is a little high, you do get 240 bottles of whiskey. This comes out to about $42 per bottle and a free barrel to do with whatever you want. Because new, charred white oak barrels are used for every batch and maturing varies depending on the area of the Distillery where the barrel is stored, no two batches are ever exactly alike. Your bottles from the “Buy the Barrel” program will be completely unique to you. You even have the option of visiting the Jack Daniel’s Distillery to pick out your very own barrel. Otherwise, the company will arrange to have all your bottles and barrel shipped to a retailer near you. While most people think of Jack Daniel’s as being one whiskey, there is so much more. There are actually four different versions of Jack Daniel’s Tennessee Whiskey: the original Old No. 7, Gentleman Jack, Jack Daniel’s Single Barrel, and Tennessee Honey. They differ in ingredients, their mellowing process, and their maturing process, in order to create unique flavors to appeal to a variety of tastes. In addition to the four standard versions of Jack Daniel’s whiskeys, there are also a variety of limited and special edition versions of the iconic whiskey available intermittently. These are typically variations on the four varieties, often just a higher proof. You can even register your special bottle on the company’s website. You can make your very own customized Gentleman Jack label to affix to your next bottle of Single Barrel Select whiskey. By visiting the Jack Daniel’s Facebook page, you can create as many as ten customized labels per month. Each label can contain up to 26 characters and can be one or two lines. It’s an ideal way to give your Jack Daniel’s whiskey bottles a little something extra. It is also perfect for gift giving. Whether you are looking for holiday gifts, corporate gifts, a wedding gift, or something unique for just about any special occasion, a customized bottle of the best-selling whiskey in the world is the right choice. The Master Distiller in a distillery has the most important job of all. He is ultimately responsible for creating a quality product that lives up to the company’s reputation. Jack Daniel’s current Master Distiller is named Jeff Arnett and is only the seventh one ever. For a company that is 146 years old, that shows some serious commitment to the job. Jack Daniel was the original master distiller, and he put in place many of the procedures that are still used today. As any Jack Daniel’s fan knows, these five facts are only the tip of the iceberg in what sets this whiskey apart. Quality, great taste, and so much more have helped to make it the top whiskey in the world. You know when you taste Jack Daniel’s whiskey, whether alone or in a cocktail, that you are getting the best there is. Follow us on Twitter, Like us on Facebook and Watch us on YouTube! Did you know that Singing is GOOD for You? What do you know about Moonshine?